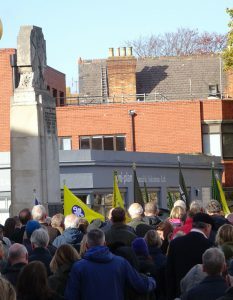 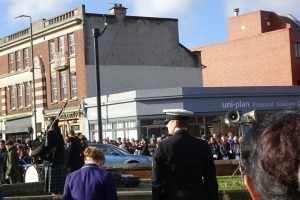 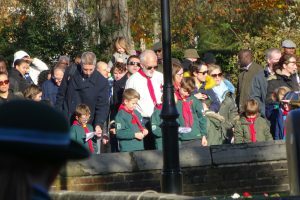 On Sunday, I attended the Beckenham Remembrance Day Service. 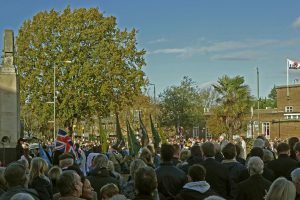 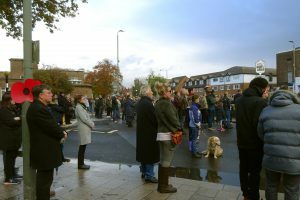 There were far more people present than I have seen for any event in Beckenham: this includes the Remembrance Day Service for 2000 when I took photos for the Beckenham Photographic Society’s Millennium CD Rom and a few years ago when I represented the Copers Cope Area Residents Association at the Service. 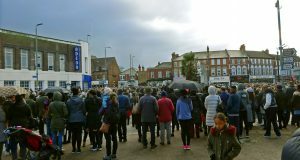 The last time there was a similar turnout was when huge crowds witnessed the Olympic Torch being carried through Beckenham on July 23rd 2012. 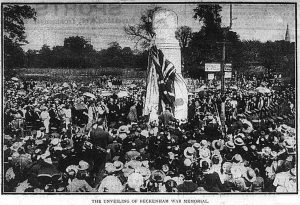 I took many photos and below are some together with a copy of the photo which appeared in the Beckenham Journal when the memorial was opened in 1921.